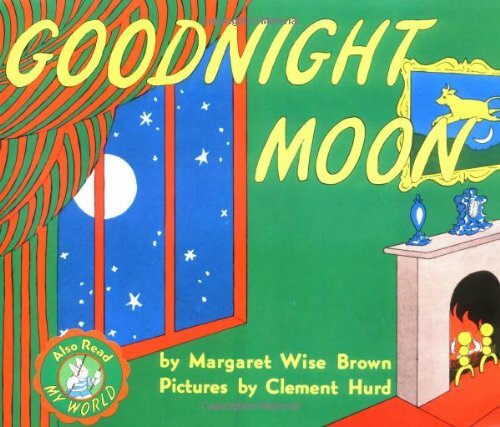 "Goodnight Moon" is 66 years old book! The first time I read this book was during one of my undergraduate course, "Creative Expression..."in 2008. This book is not only my favorite but also adored by many little ones. There is so much to learn from this book: vocabularies, repetition, spatial relationship, math, science and more. My favorite features of the this book is that as the story goes by, the pages become darker and darker. During the 60s it was expensive to print colored books, that is why this book does not have all colored paper. And also the colored pages fades away as your read along the story to represent "getting dark". And that is my favorite part! I love this book! I remember my parents reading this to me when I was a child twenty some years ago and I now read it to the children that I nanny for. I know that it is in classrooms as well. I did not know that it was 66 years old! It is amazing that it is still just as popular today. I wonder if my parents read it when they were little as well. I also enjoy how the pages get darker as the book goes on. It is a great bed time story!